I should perhaps start by explaining that in these notes I use the terms that I used in my days in the pits of South West Durham. Those of you who have either been miners or lived in a mining community will know that the name of a tool etc. can change from coalfield to coalfield, Area to Area within the same coalfield and from colliery to colliery even when they are within a short distance of each other. I apologise if the terms I use cause any confusion. 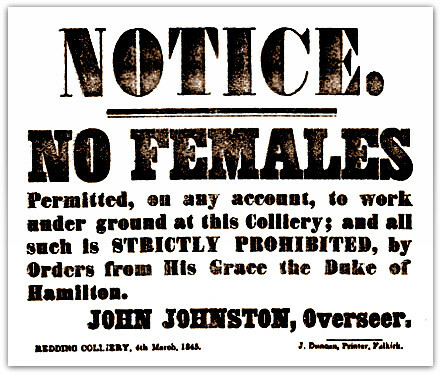 1842 1 saw the prohibition of the employment underground of all females and boys under 10 years of age. The age from which boys could be employed underground was raised from 10 to 12 years of age in 1872 2. The lowest age at which children could be employed at mines as surface workers was raised from 10 to 12 years of age in 1887 3. That year also saw limits placed on the hours children above that age could work in that capacity 3. I believe that in 1957 15 years of age was the minimum age at which a child could be employed as a mine surface worker. My first permanent job was as a new entrant miner at Leasingthorne Colliery a. I started there in January 1958. Some of my first weeks in the employ of the NCB were spent at No 4 Area’s Tursdale Miners Training Centre on a course I had to attend before I could work on the surface at a colliery. I went back there shortly afterwards for a course that I needed before I could be employed underground at a working mine. This course mainly took place below ground and was an introduction to the sort of thing I would see and do when an outbye b job in the mine became available to me. It is my memory that I took my first shaft cage rides to get to and from the course’s underground tuition areas. Course members were introduced to the workings of some of the haulage systems used in local pits. We were, for example, taught how to couple and uncouple tubs, how to use sprags b - some would say drags - to slow and stop tubs and how to attach tubs to endless b rope haulage systems. We were also introduced to the pit pony. We had to harness and couple one to a tub b using chains or limbers b.
Leasingthorne’s mining entrants who completed the second course were given a job below ground as and when there was a vacancy. In the meantime they worked on the surface waiting for their turn to come up. I moved on before it was my turn to take up a vacancy. When I was a surface worker I was a member of a team tasked with a number of jobs. One was to unload the lorries making deliveries and to top up the stockyard stocks of supplies used underground. Another was to load supplies on to tubs and trams b for transport underground. The supplies we handled included wood props, wood roof planks, Dowty b hydraulic props, steel roof bars, arched and other girders, the plates needed to join them, steel rails and fishplates. We did not handle explosives or detonators.